Koko Architecture + Design is dedicated to the ideal that design has the ability to improve our lives. While specialization within a discipline has its role, the studio is committed to design in the widest possible sense: From the bend of an elevated railway to the curve of a playground slide. Koko is excited to be working on a new space for the Robot Garage in Rochester Hills, MI opening this summer! 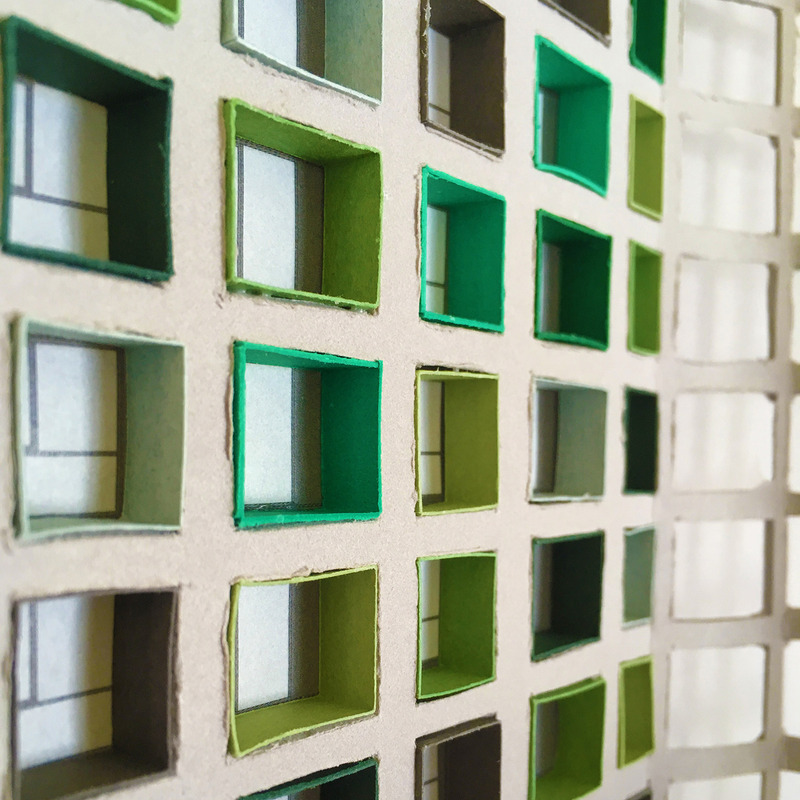 Having fun laying out tiny colorful window boxes for a new tower in Taipei. Model making remains an important part of Koko’s design process!